Home Archive by category "2018 Season"
Australian artist Robert Dickerson AO (30 March 1924 – 18 October 2015). Known as a figurative painter, Dickerson’s works are inspired by people and scenes and are often described as melancholy with isolated figures, menacing dark streetscapes and anguished facial expressions characterising his painting. This opens up a huge realm of music which SCMF Artistic Director, Bridget Bolliger, is delighted to curate alongside a line up of outstanding artists, as always! 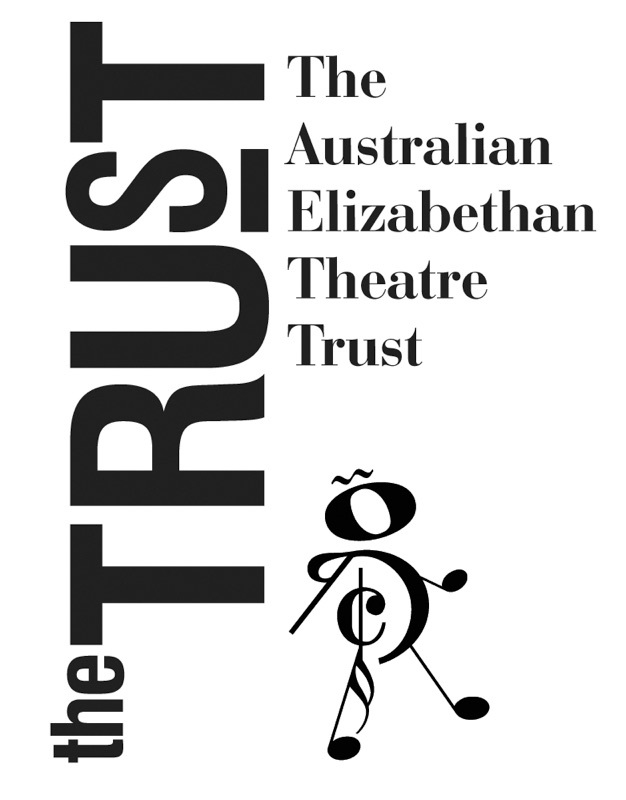 For the first time in a decade, the Sydney Chamber Music Festival has received recognition and support and this comes from the Australian Elizabethan Theatre Trust (AETT). 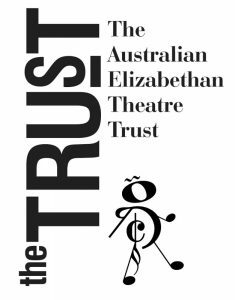 The AETT supports the arts in Australia and has done so for over 60 years by providing financial assistance to individual artists, groups and companies. Thanks to the AETT, our festival can realise it’s full potential, offering 5 outstanding concert programs which remain accessible to all. To stay in touch, please subscribe to the SCMF subscriber list. CLICK HERE to read more about the programme for our 2018 season. CLICK HERE to read more about the artists performing in our 2018 season. Having captivated audiences all over the world, the acclaimed jazz vocalist Gregg Arthur with the Peter Locke Quartet opens the 2018 Sydney Chamber Music Festival with songs from The Great American Songbook. Unmatched as a singer and performer, Gregg joins forces with Australia’s finest jazz chamber musicians to bring you In A Sentimental Mood, a charmingly relaxed and intimate programme that will entertain and delight. Please join us after the performance for complimentary welcome drinks to the 2018 Sydney Chamber Music Festival, proudly brought to you by our wonderful sponsor Penna Lane Wines, Clare Valley. This Family Concert features the Sydney Puppet Theatre, Bridget Bolliger, flute and Andrew West, piano. “Nella and the Paradise of Birds” is the newest artistic achievement for Artistic Director and flautist Bridget Bolliger, and the internationally award winning Sydney Puppet Theatre. Sydney based composer Jim Coyle’s stunning set of 12 miniatures for flute and piano, composed and recorded in 2017, are beautifully brought to life as little Nella dreams and imagines a world of wonderful creatures in her puppetry realm. Through the collaboration of flute, piano and the magic of puppetry, this is a theatrical performance that will educate, excite the senses and inspire the minds of primary school children of all ages. World premiere of new arrangement for flute, cello and piano by these musicians. Introit — Kyrie — Qui Mariam — Lacrimosa — Libera me — Lux aeterna. of a successful professional musician. Guy Noble is joined by one of Australia’s finest international artists, the great mezzo-soprano Deborah Humble, along with pianist Andrew West and Amanda Cole PhD founder of ‘Performance Brilliance’, to give their unique views and expertise on musical life and how to master both body and mind to reach potential and enhance performance. We are thrilled to announce that one of Australia’s ‘favourite son’s’, the acclaimed pianist Piers Lane will be giving his only Sydney recital in 2018 at the Sydney Chamber Music Festival. As a prelude to his Wigmore Hall Recital early next year, Piers will be performing a diverse and stunning programme featuring works by J.S.Bach, Chopin, Tchaikovsky and Stravinsky. A pianist who stands out as an engaging and highly versatile performer, Piers’ concerto repertoire alone exceeds ninety-five works, he has performed 5-times at the BBC Proms and has a discography of over 50 CD’s spanning from Bach to Williamson. 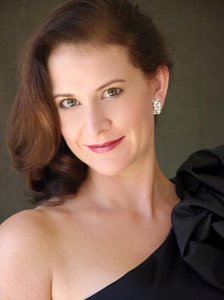 Mezzo-Soprano Deborah Humble is one of Australia’s most successful international artists. She began her musical education in Adelaide gaining a Bachelor of Music Performance and continued her studies in Melbourne completing a Master of Music and Diplomas of Arts and Education. In 2004, Deborah was awarded the prestigious Dame Joan Sutherland Scholarship and, the following year, she became a Principal Mezzo with the State Opera of Hamburg. Her many roles for the company included Zenobia (Radamisto), Bradamante (Alcina), Hansel (Hansel and Gretel), Page (Salome), Suzuki (Madame Butterfly), Olga (Eugene Onegin) and Malik for the German premiere of Henze’s L’Upupa. But it was for her Wagner roles in Hamburg’s Ring Cycle that she received international acclaim. Conducted by Simone Young and directed by Claus Guth, Deborah began with Erda in Das Rheingold in 2008 and went on to sing Schwertleite in Die Walküre, Erda in Siegfried and both 1st Norn and Waltraute in Götterdämmerung. She recorded these roles for the Oehms record label and, in early 2011, repeated the roles in two complete cycles. In 2008, Deborah was a finalist in the International Wagner Competition held in Seattle. Her international engagements include appearances with Edinburgh Festival, Festival d’Aix-en-Provence, Salzburg Easter Festival, Hong Kong Philharmonic Orchestra, Singapore Lyric Opera, Seattle Symphony, Auckland Philharmonia Orchestra, Stuttgart Philharmonic, Hamburg Philharmonic, London Mozart Players, British Youth Opera and the Théâtre du Châtelet in Paris – in works as diverse as Handel’s Messiah and Verdi’s Requiem. Closer to home, she has performed with the State Opera of South Australia, Opera Queensland, the Sydney, Melbourne, Queensland and Tasmanian Symphony Orchestras and the Adelaide and Brisbane Festivals. In 2013/14, she sang further Ring Cycles in Hamburg, Halle, Melbourne and Ludwigshafen, sang Catherine in Honegger’s Jean d’Arc du Boucher in Lisbon, Amneris in Aida for Opera Australia, Elijah with the Sydney Symphony, Mahler’s Symphony No. 3 with the Queensland Symphony and Wesendonck Lieder in New Zealand. Since 2015, Deborah Humble has appeared in Strauss’ Elektra and Honegger’s Jeanne d’Arc au Boucher in Hamburg, Das Rheingold and Beethoven’s Symphony No. 9 in Hong Kong, Siegfried in Boston, Mahler’s Symphony No. 8 in Singapore, Bruni’s Symphony No. 1 (Ringparabel) in Minsk, Parsifal and Verdi’s Requiem in the UK, Bluebeard’s Castle and Elgar’s The Kingdom in Melbourne, Mozart’s Requiem in Brisbane and Tristan und Isolde in Mexico City. In 2017, she makes major appearances in Lille, London, Melbourne and New Zealand. 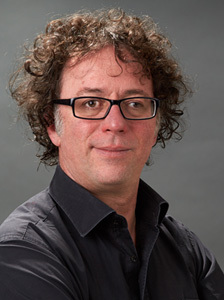 Guy Noble has conducted the Sydney, Melbourne, Adelaide, Western Australian, Tasmanian, Queensland and Canberra Symphony Orchestras, the Auckland Philharmonia, Hong Kong Symphony and Malaysian Philharmonic orchestras. Guy is the host and accompanist each year for Great Opera Hits (Opera Australia) in the Joan Sutherland Theatre of the Sydney Opera House. He conducted Opera Queensland’s 2014 production of La Boheme, is conductor and host for the Adelaide Symphony Orchestra’s Classics Unwrapped series at the Adelaide Town Hall, and conductor and host for the Queensland Symphony’s Music on Sundays series at QPAC. His Opera The Opera was premiered at WAAPA in November of 2016 and has since been workshopped by Opera Australia. He is also the host of Concert Hall on Qantas Radio. Guy has worked with a wide variety of international performers with orchestras across Australia, including Harry Connick Jnr, Ben Folds, The Beach Boys, The Pointer Sisters, Dianne Reeves, Glenn Frey, Randy Newman, Clive James, Conchita, The Two Cellos, Alfie Boe, and Olivia Newton John. 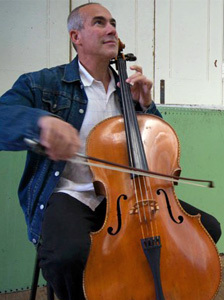 Born in New York City, cellist Michael Goldschlager is perhaps best known to Australian audiences for 13 years of performances and recordings with The Macquarie Trio and as a chamber music cellist, having appeared at the Australian Festival of Chamber Music on six occasions, and at virtually all of Australian’s best-known music festivals. His recent best-selling, critically acclaimed recordings of the complete unaccompanied cello suites of J.S. Bach for ABC Classics/Universal are often heard on ABC Classic FM, where he has also twice been the interview guest on the ‘Margaret Throsby Show’. He performed in September/October of 2016 with the Australian World Orchestra (AWO) on its tour to Sydney and Singapore. In 2013, he toured with the AWO under Zubin Mehta and was Principal cellist with the orchestra on its tour of India with Mehta in 2015. He will return to India with the AWO in 2018. Michael was a frequent concerto soloist and principal cellist of the West Australian Symphony Orchestra (WASO) for six years. 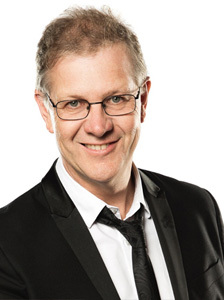 He is a frequent guest principal with the Tasmanian and Sydney Symphony Orchestras. He has toured Europe as principal cellist of the Australian Chamber Orchestra and has recorded with each of these ensembles. He has also been a Mentor/Teacher and Coordinator of Strings at the Australian National Academy of Music in Melbourne. He presently lectures in cello at Western Australian Academy of Performing Arts. In New York he performed with that city’s finest musical organisations, including the Chamber Music Society of Lincoln Center. His career in N.Y. included appearances with the city’s finest musical organisations, such as the NYC Opera, NYC Ballet, and as a principal with the Orchestra of St Luke’s. For two years, he played Bach suites on stage as a musician and actor in over 1000 performances of the Broadway play, The Elephant Man with such notables as David Bowie and Mark Hamill. He appeared in the concert to save Carnegie Hall with musicians such as Leonard Bernstein, Isaac Stern, Leonard Rose and the Guarneri String Quartet. In 2014, he delivered a TEDx talk in March of 2014 entitled Passion – The Eagle and the Eel. He sits on the Media and Arts Advisory Board of SeaShepherd.org along with Brigit Bardot, Pierce Brosnan, Sean Connery, Martin Sheen and several others, and his solo music has been used in documentaries for the organisation. He chose the music for Warner Brothers’ latest Chuck Lorre TV comedy, Mom as music coordinator for the show. Michael performs on a historically important cello made for the court of Louis XVI in 1780 by Nicolas a Paris. 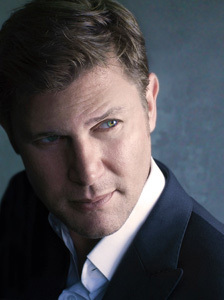 Gregg Arthur is an Australian singer and songwriter known for his intimate vocal style. Originally from Sydney Australia, Gregg travels all over the world performing the music he loves. His training and education are firmly based in the tradition of jazz vocals and the great American Songbook, using his considerable abilities to interpret what he calls the ‘new standards’, pop and smooth jazz classics. Studying music in Sydney, Gregg honed his vocal skills with famed singing coach Don Graden, studied acting to enhance his singing performances at The Actors Studio and lessons with legendary acting teacher Hayes Gordon, also recording and performing with the great Australian arranger and conductor, Maestro Tommy Tycho. In the United States Gregg has worked with iconic musicians including the late Vincent Falcone, former pianist and conductor for Frank Sinatra, and the ‘Brush Master’ Clayton Cameron, drummer for Tony Bennett and Sammy Davis Jr. Since 2014 Gregg has been performing and writing with brilliant pianist Tom Ranier, and had a residency with beloved bassist Pat Senatore and his trio at the prestigious Bel Air venue Vibrato, owned and presented by Grammy award winning trumpeter Herb Alpert. In Australia and the Asia Pacific Gregg tours and records with the cream of the region’s musicians, featuring highly respected jazz masters, pianist and musical director Peter Locke and renown bassist Craig Scott, and introducing young guns Tim Geldens on drums and Michael Avgenicos on tenor sax. 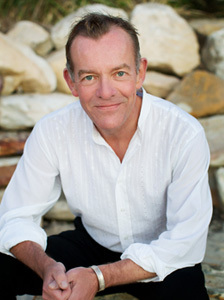 Jim Coyle is a Sydney-based composer and music educator. He has worked with some of Australia’s finest musicians as well as composing works for children and young people to perform. Jim is also in demand as a speaker, leading professional learning for music teachers and delivering pre-concert talks for Sydney Symphony Orchestra. He also lectures part-time at Sydney Conservatorium of Music. Steve Coupe and Sue Wallace are co-artistic directors of The Sydney Puppet Theatre founded in 1984. We moved to the Southern Highlands, regional NSW, where we built a puppet making and rehearsal studio. We create what we call Theatre of Delight, principally for the family audience incorporating puppetry, acting, music and dance in our shows. We design workshops for all ages and abilities. We have also created puppetry performances and workshops for various clients the Museum of Contemporary Art, the ABC, the Powerhouse Museum and Discovery Centre, Casula Powerhouse Arts Centre, the Roads and Transport Authority, Sydney Water, the NSW Fire Department, the Australian Museum, National Parks and Wildlife and Australia’s Wonderland. 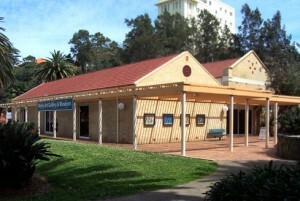 We have taught puppetry at the University of NSW and have an ongoing association with the Enmore Design College of TAFE. Most recently (August 2017) we were commissioned by Nautanki Theatre to create and perform shadow theatre in Jungle Book at Riverside Theatre. 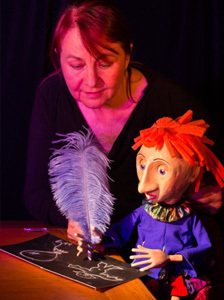 We are currently company in residence at Imagin Arta, the Australian Puppet Centre in Sutton Forest NSW, performing every Sunday and organising puppetry workshops and events. Amanda Cole is a compelling and passionate performer specialising in art song, oratorio, chamber music, early music and the avant garde. Her musicianship, expressive singing, facility with languages and innovative thinking have received recognition from Jack Straw Productions (Seattle, USA), Mietta Song Recital Award (Melbourne), Creative New Zealand, Churchill Fellowship Foundation and Arts Queensland. 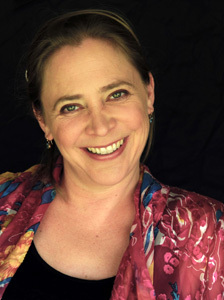 Upon completion of her PhD in constructive pedagogy for performers and integrative Alexander Technique, she was appointed Adjunct Research Fellow at Griffith University. She has presented academic papers at international conferences on music education, psychology, singing and the Alexander Technique, published in the Australian Journal of Music Education and was recently invited to contribute a chapter to a book on mentoring. She has taught at the University of Melbourne, the Victorian College of Arts and the University of Otago. Her experiential courses on music performance (How Performance Works, Mending Musical Cartesian splits, Music Performance Excellence for Professionals, Philosophical Pragmatism and Musical Creativity) attract musicians both locally and in New Zealand, the US, the UK and Europe. Andrew West first worked with Bridget Bolliger in 2013 at the Australian Festival of Chamber Music in Townsville. They have since recorded two CDs together, in London and Sydney, and given further recitals in Sydney and Ballarat. musicians. He is Artistic Director of the Nuremberg Chamber Music Festival, now in its seventeenth year, creating programmes and performing in the concerts. His longstanding partnership with flautist Emily Beynon has led to recordings for Hyperion and the BBC, and recitals at Wigmore Hall, the Amsterdam Concertgebouw, and throughout Europe. He is particularly known as a song-accompanist, appearing with Benjamin Appl, Emma Bell, Florian Boesch, Lesley Garrett, Christopher Purves and Roderick Williams. He has collaborated for many years with the renowned tenor Mark Padmore. Their repertoire ranges from Schubert’s Winterreise, performed in a staged version alongside poems by Samuel Beckett at Lincoln Center, New York, to cycles by contemporary composers such as Harrison Birtwistle. The world premiere of Birtwistle’s cycle Songs from the Same Earth, at the Aldeburgh Festival, has been followed by further performances in Amsterdam, Cologne and London. Recent recordings include Dancing Shadows and Timeless with Bridget Bolliger; Schubert’s Die Schöne Müllerin with Robert Murray; and Romantic Masterpieces with Spanish clarinettist Cristo Barrios. Saëns, was selected as ‘Recording of the Month’ by the Daily Telegraph. As a duo pianist he has appeared at the City of London and Cheltenham Festivals with pianist Cedric Tiberghien. For the Michael Clark Dance Company he performed the two-piano version of The Rite of Spring with Philip Moore, firstly at the Barbican, and then on tour in Paris, Seoul and Lincoln Center, New York. Andrew West won second prize at the Geneva International Piano Competition in 1990. He has made solo tours of South Africa, South America and the United States. Andrew West read English at Clare College, Cambridge before studying at the Royal Academy of Music under Christopher Elton and John Streets. He is Professor of Accompaniment and Chamber Music at the Royal Academy of Music. London-based Australian pianist Piers Lane stands out as an engaging and highly versatile performer, at home equally in solo, chamber and concerto repertoire. In great demand as a soloist and collaborative artist, recent highlights include performances of Busoni’s mighty piano concerto, Frank Bridge’s Phantasm and Ferdinand Ries’s eighth concerto at Carnegie Hall with the newly formed ‘Orchestra Now’; premieres of Carl Vine’s second Piano Concerto, written for him, with the Sydney Symphony and the London Philharmonic, and several sold-out solo recitals at Wigmore Hall. He also gave over thirty performances in Australia, and performed throughout the UK, and in France and Belgium. 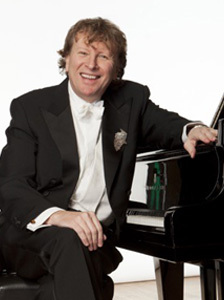 Five times soloist at the BBC Proms in London’s Royal Albert Hall, Piers Lane’s concerto repertoire exceeds ninety works and has led to engagements with many of the world’s great orchestras and conductors. He has recorded over sixty CDs on major labels, primarily with Hyperion Records. Awaiting release are another Piers Goes to Town recital disc, concertos by Ferdinand Ries, and a sonata disc with violinist Tasmin Little. Recent releases include concertos by the Australians Alfred Hill and George Boyle, a Franck, Fauré and Szymanowski disc with Tasmin Little and works by Borodin, the ninth disc he has recorded with the Goldner String Quartet. Piers is the Artistic Director of the Sydney International Piano Competition of Australia, and for ten years was also the Artistic Director of the Australian Festival of Chamber Music, finishing in 2017. In the Queen’s Diamond Jubilee Honours, he was made an Officer in the Order of Australia for services to music. In the 2017/18 season Piers’ concerto appearances include Rachmaninov’s Piano Concerto No. 3 under Brett Dean at Sydney Opera House with the Sydney Symphony, Brahms Piano Concerto No.2 with the Auckland Philharmonia, and the world premiere of a newly commissioned piano concerto by Carl Vine with Kathryn Stott, also in Australia. Piers visits the USA on several occasions, gives a solo recital at Wigmore Hall in January, and plays throughout the UK as well as in Canada, Dubai, Portugal, Norway and Russia. In the Queens Diamond Jubilee Birthday Honours, he was made an Officer in the Order of Australia (AO). Australian-Swiss flautist Bridget Bolliger made her solo début with the Sydney Symphony performing Ibert’s Flute Concerto at the age of 15. She relocated to Switzerland for her tertiary studies graduating with a Masters Degree in Performance from the Basel Music Academy under Professor Peter-Lukas Graf. Bridget then embarked upon a busy and varied career in Europe and South America appearing as soloist and chamber musician with many leading international orchestras and ensembles. Marielle Norman and Elena Zaniboni. 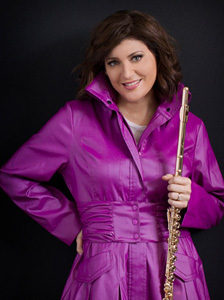 She has held Principal Flute positions with the St Gallen Symphony Orchestra and the Sao Paulo Symphony and has appeared as guest Principal Flute and soloist with the Basel Symphony, Philharmonia Zürich, Australian Opera and Ballet Orchestra, Queensland Symphony Orchestra and many others. Upon her return to Sydney in 2004, Bridget became a passionate advocate of Australian music and performed frequently at the Huntington Estate Music Festival and the Australian Festival of Chamber Music. She was founding Director of the New Sydney Wind Quintet and Founding Artistic Director of the Sydney Chamber Music Festival – this Festival celebrates 11 years under her successful stewardship in 2018. She has recently formed a key musical partnership with pianist Andrew West; in 2016, they gave their début recital in the Utzon Room, Sydney Opera House and collaborated on Bridget’s latest album – entitled Timeless. Her earlier recordings of premiere Australian works have received unanimous acclaim from celebrated music journals such as Gramophone, BBC Music Magazine and Limelight Magazine; these include Quintopia, The Laughing Moon (by Ross Edwards) and Dancing Shadows (the complete music for flute and piano by Miriam Hyde). An esteemed teacher and chamber music coach, Bridget has tutored and given masterclasses worldwide – at the Jugend Musik Schule (Rorschach), Australian National Academy of Music and the Universities of New South Wales, New England and Sydney. She has also assisted Michel Debost at the Oficina de Música de Curitiba and features on playwithapro.com -the newest international online teaching podium. Bridget Bolliger is a Powell Artist.